This is the EASIEST Rhubarb Dessert Recipe idea, simply made of rhubarb and whipping cream to take your TASTE BUDS for a RIDE! You can make this easy dessert with frozen rhubarb (thawed), or fresh rhubarb. If you have fresh strawberries, raspberries, or blueberries on hand you can garnish the dessert with berries to make it look even more special! Making a Rhubarb and Whipping Cream Dessert! 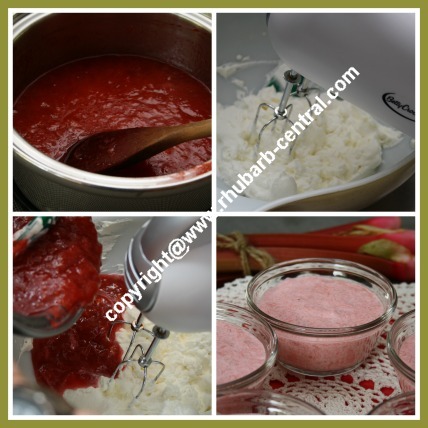 In a large saucepan, combine the rhubarb, water, sugar, lemon juice and orange peel (optional), and bring mixture to a boil. Reduce heat, and allow to simmer, uncovered over medium heat for about 15 minutes, stirring frequently to avoid any sticking or burning. In a mixing bowl, beat the whipping cream until soft peaks form. 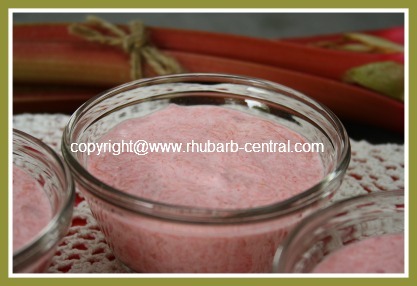 Gently fold the rhubarb into the whipping cream. Pour into individual dessert cups. Garnish top of dessert with fresh raspberries, strawberries, or blueberries, if desired. 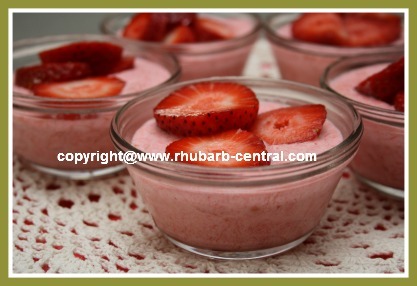 Rhubarb and Strawberries Pair Very Well! I believe that rhubarb is the very easiest vegetable to grow. Rhubarb is a perennial (it comes up each Spring, without needing to be seeded), and it is rarely affected by pests or disease. Rhubarb requires little to no maintenance and provides a very large rhubarb harvest a few times each year! Whatever harvested rhubarb you do not plan to use fresh, you can simply freeze the rest of the rhubarb. 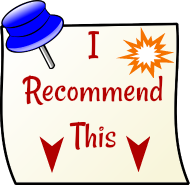 Do you have a very small property? No problem, rhubarb does not need to be grown in a specific vegetable garden plot. Rhubarb plants can be grown along a fence line, at the side of a deck or a patio, or anywhere it will receive sunshine! 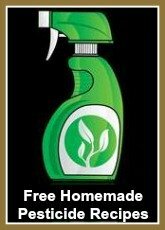 Consider growing rhubarb at your home! It is such a versatile vegetable. 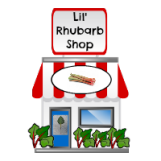 Check out the navigation bars at the right hand side of this website, and you will see how many types of recipes can be made with rhubarb!